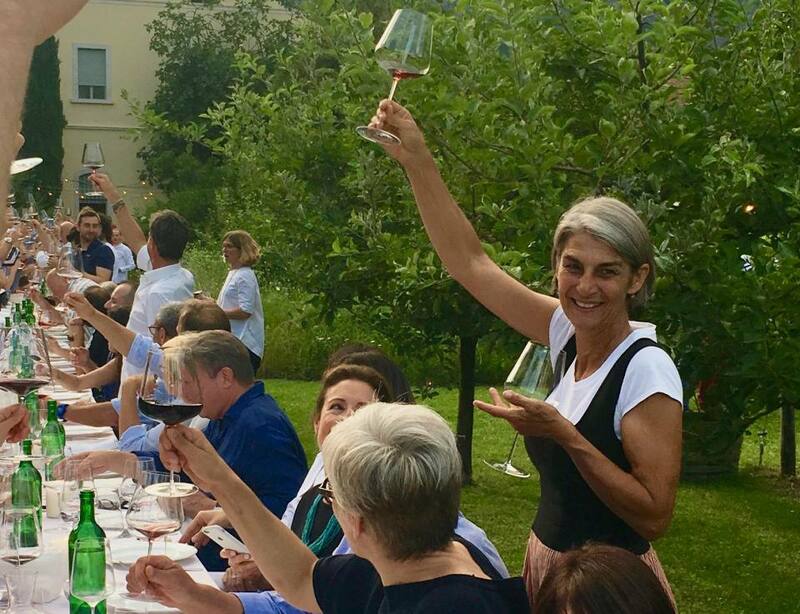 In 2008, these two remarkable women, Chiara Innocenti and Francesca Di Benedetto, bought 25 hectares of largely abandoned vines with Chiara’s brother, Andrea, and set out on the adventure that has become Tunia. Their fresh, drinkable and fascinating wines are born of creative vision, expertise and dogged persistence. 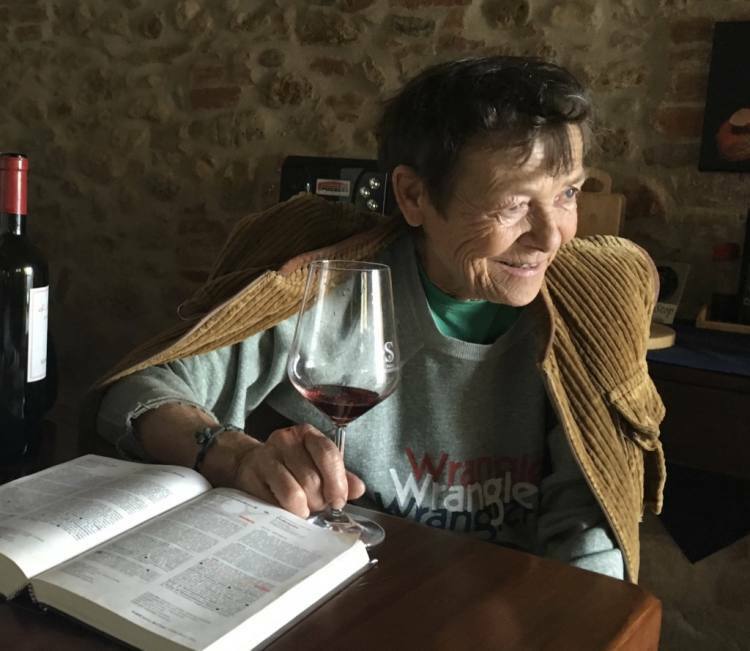 Unlike many young winegrowers and/or women winegrowers that I’ve written about, they didn’t inherit vineyards and can’t lean on generations of family, who made wine before them. They started from scratch. 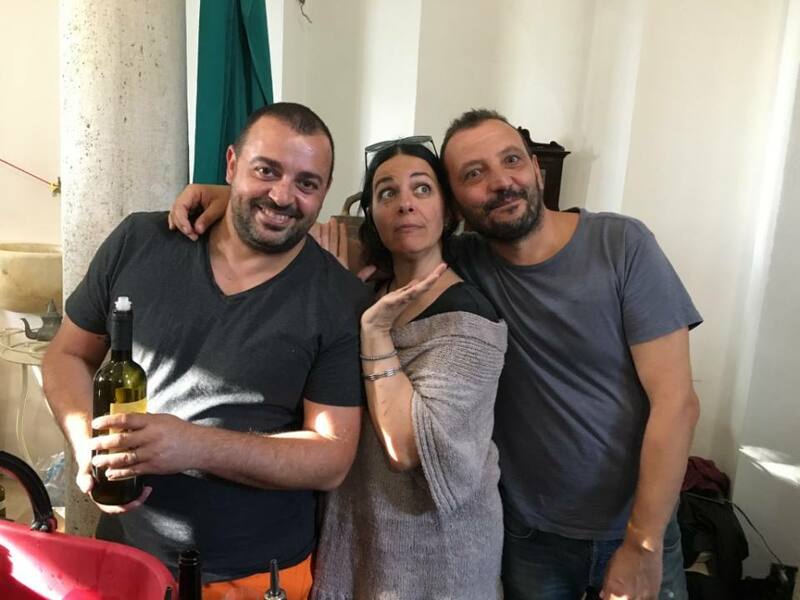 They met as students at the University of Pisa, Chiara from Umbria and Francesca from Le Marche and Campania. Chiara studied business/economics while Francesca studied biology/oenology. After graduation, Chiara went to work in marketing in Milan, and Francesca to Sardegna. But as the years passed, they got more serious about living their dream. 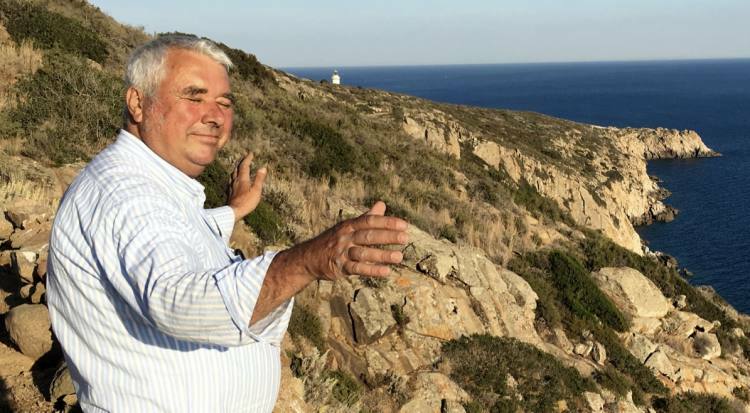 Of the 25 hectares, 15 are planted with vineyards, 3 are olive groves, and the rest woodlands. The open, rolling hills allow for lots of sunshine, and near constant breezes blow through the valley from Lake Trasimeno, creating a dry, healthy climate for organic vines. They are surrounded by woodlands or open fields and have no neighbors using industrial methods or chemical products like pesticides, herbicides, fungicides, etc. The rocky, limestone soil in the vineyards drains quickly after rainstorms and adds elegance and crispness to Tunia wines. From the start, Chiara and Francesca used only natural/organic methods. 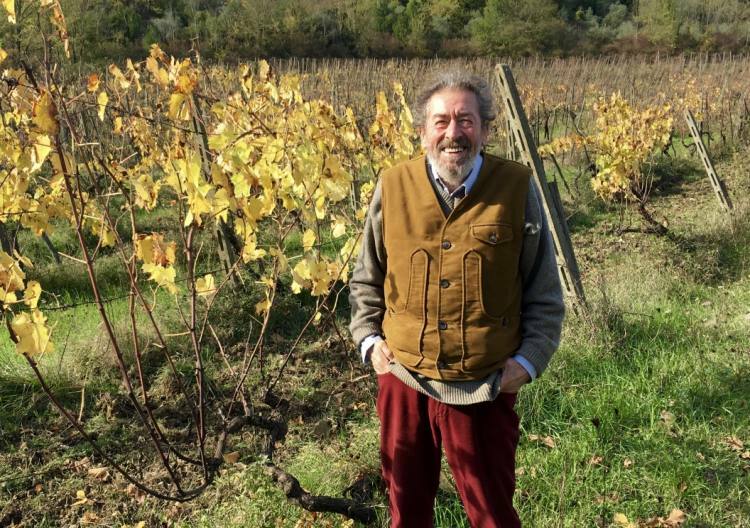 They joined VinNatur, founded in Italy and now Europe’s largest natural wine organization. It requires that members submit wines for testing to ensure that they are free of pesticides and other prohibited substances. In this video, Francesca explains the difference between “natural” and “organic” wine. Even though the EU allows 50 different substances (some not organic) to be added to organic wine in the cellar (various acids, different kinds of tannins, bacteria, yeasts, clarifiers, etc. ), the only ingredient in “natural” wine is grapes (and possibly, a small amount of sulfites at bottling). As she points out in the video, even though consumers focus on sulfites, they would likely be much more concerned about the numerous additives that don’t appear on the label. Most of Tunia’s vineyards were planted in the 1970s and are primarily Trebbiano and Sangiovese with some Colorino and Canaiolo. The vines seemed like works of art on the day that I visited, in October, after the harvest. Each had a story to tell. And the wines they yield have complexity, richness and lots of personality. Despite all of these advantages, there have been lots of challenges. First, the hills of the Val di Chiana are relatively unknown and undervalued–unlike more famous areas of Tuscany like Chianti, Montepulciano or Montalcino. 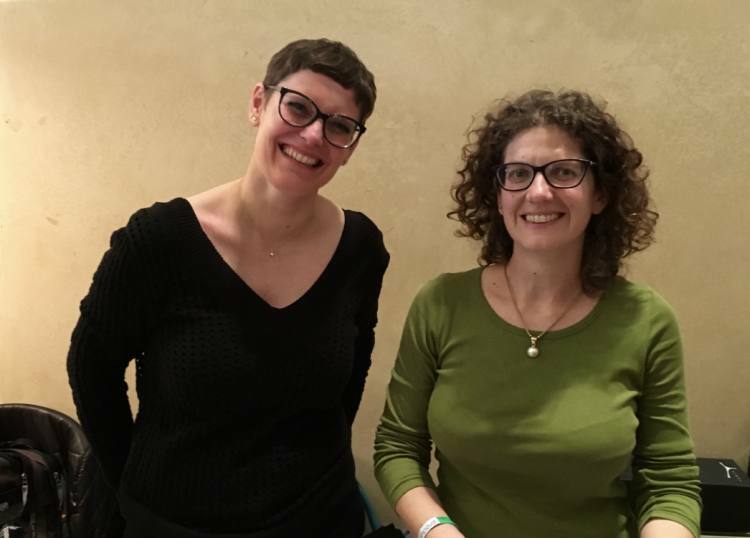 Second, Chiara and Francesca don’t have a history of family winemaking or a historic name to lean on. Fourth, they are working with a limited budget. They had to find cellar space to rent and put their dream of renovating and living in the lovely old farmhouse on the property on hold. Fifth, they had a huge amount of work to do in the vineyards in the year before their first harvest. They had to bring the 40-year old vines back into balance and. to plant new vines in the spaces left by vines that had died. Francesca wanted Vermentino for her white wine and had to find an expert, who could graft Vermentino onto old Trebbiano rootstock. (That’s a whole story in and of itself.) And finally, they had to contend with a young Cabernet Sauvignon vineyard, which had been planted only in 2005 and was just beginning to be ready for harvesting. But none of this has held them back. In a very short time since their first harvest (2009), they have distinguished themselves with these wines. The only ingredient in these wines is grapes (with a tiny bit of sulfites added at bottling–to keep the wines “” and true to their subtle elegance). This intriguing bubbly is made from two harvests. The first is an early harvest when the grapes (already quite an acidic variety) are not quite ripe. They ferment spontaneously in stainless steel with no skin contact. The second harvest happens when the grapes are fully mature. Fermentation is the same except with 30 days of skin contact. Months later, in February, the two wines are mixed and bottled with the second fermentation happening in the bottle when a small amount of must from pressed dried grapes (“passito” used for Tunia Vin Santo) is added. The spent yeasts remain in the bottle as with the traditional way of making “Prosecco Col Fondo”. No filtration. No sulfites (because the spent yeasts are natural anti-bacterial agents.) A delightfully fresh wine (12% alcohol) that has a bit of tannins and structure from the skin contact. Excellent with antipasti, cheeses but also pasta or fish or white meat dishes. This “orange wine” is made from four separate harvests all fermented separately in stainless steel. 1) Trebbiano, not quite mature, with lots of acidity that is fermented with no skin contact. 2) Perfectly ripened Vermentino that ferments with a week of skin contact. 4) Late harvest Trebbiano–the grapes have some “noble rot” (Botrytis cinerea)–fermented without skin contact. The wine rests on the lees in stainless steel for 12 months (and goes through malolactic fermentation), then, is assembled and ages another 6 months in the bottle. The fresh acidity and minerality is accompanied by a touch of aromatic sweetness. Long aging capacity but can also be enjoyed young. A rich but fresh and drinkable “rosé”. As Francesca noted, “Everyone else around Tuscany makes rosé with Sangiovese. I decided to try with Cabernet.” This is her creativity at work on many levels, not just challenging herself to try doing something “out of the box”. 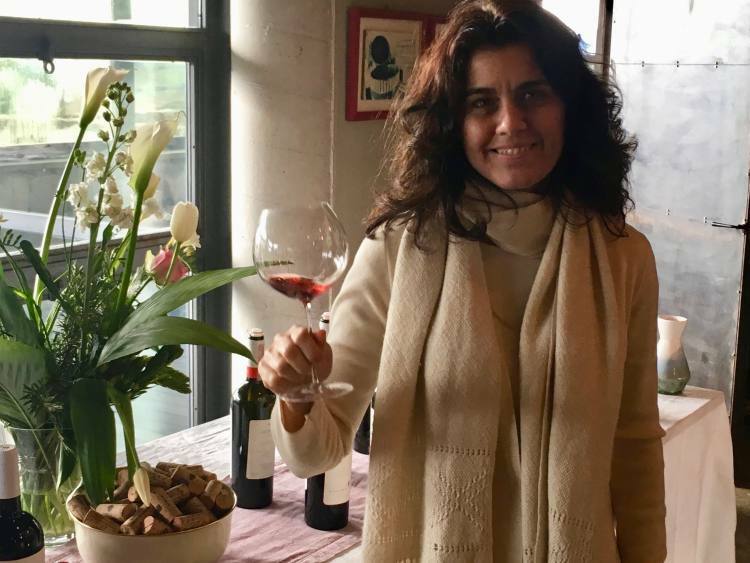 She and Chiara realized that making rosé was a way to sell a high quality, Cabernet wine without having to bear the expense of aging it for years. Genius! Francesca harvests the grapes at maturity (not before as is typically done with a rosé) to keep the Cabernet from being ruggedly herbaceous. The grapes ferment spontaneously in stainless steel with no skin contact. Then, the wine ages 6 months in large, used barrels. The ideal summer wine for grilling chicken, fish, meats or vegetables. Tunia’s Cabernet (on the right versus the rosato on the left) is a medium weight wine (13,5%) without harsh tannins or too much “green” herbaceousness. The wine ferments spontaneously in large, wooden vats with 30 days of skin contact. For 18 months, 60% of the wine remains in the wooden vats and 40% rests in stainless steel. Thanks to cooler temperatures in their vineyards along with the limestone soil, the wine is complex and harmonious. The grapes ferment in stainless steel (70%) and large Slovenian barrels (30%) with 20 days of maceration on the skins. 60% of the wine ages in steel for 12 months and the rest in new, large, Slovenian wood barrels. All of the wine ages for another 12 months in the bottle. This friendly Chianti style wine is medium weight (13,5%) with refreshing acidity and gentle tannins…not a “big” wine but rather one that is approachable and easy to enjoy even when young. Each of these wines has is so clearly distinct, with its own personality and flair, but deeply tied to a sense of place. That is the essence of terroir. In this video, Francesca explains more about why the wines she makes are unique not just because of the soil, the climate and the vines, but because of her own way of doing things. Tunia wines are still relatively undiscovered and a great value (15-25 euro from the Tunia website). Fanny Breuil told me about your winery and we are interested! Will it be possible to meet you at Millesime Bio? Sorry to be so slow in responding. I wrote the blog article but for more info on Tunia, please contact the winery directly.